Delhi Welcomes New Year With 7 Degree Temperature; Air Quality "Severe"
The minimum temperature was recorded at 7 degrees Celsius in Delhi . 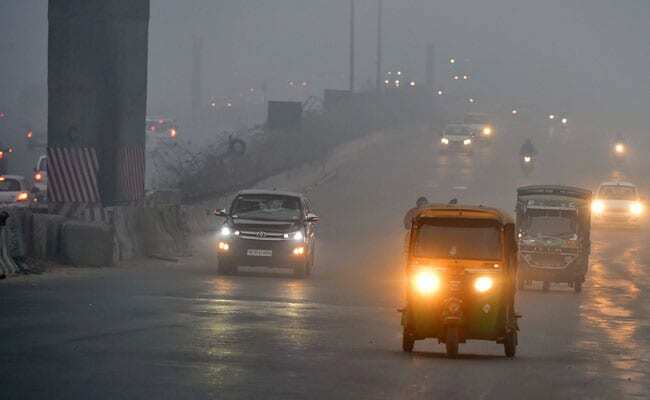 On New Year's Day, there was some respite for the people in Delhi from the cold wave conditions with the minimum temperature being recorded at 7 degrees Celsius against 3.8 degrees Celsius the previous night. The humidity level was recorded at 100 per cent. A meteorological department official today predicted a bright day ahead with the maximum temperature expected to be hovering around 22 degrees Celsius. However, cold wave conditions would prevail at isolated locations of the national capital, the official said. On Monday, the minimum and maximum temperatures were recorded at 3.8 degrees Celsius and 22.2 degrees Celsius respectively. For the third consecutive day, the air quality in the national capital was in the severe category today. 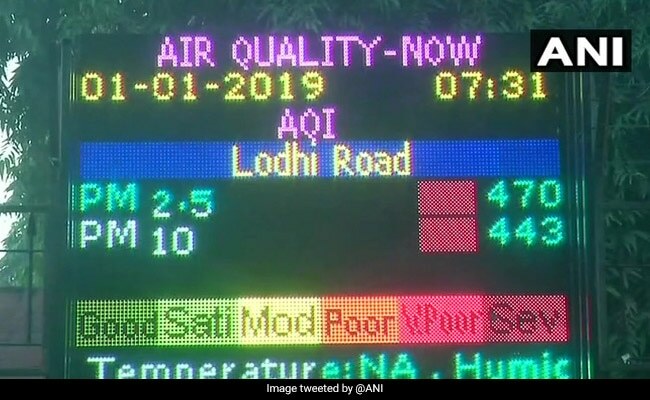 According to the Central Pollution Control Board (CPCB) data, the overall air quality index (AQI) in the national capital on New Year's Day was 404, while the Centre-run System of Air Quality and Weather Forecasting (SAFAR) recorded an AQI of 405, both of which are under the 'severe' category. Nineteen areas in Delhi recorded 'severe' pollution, while 14 witnessed 'very poor' air quality, the CPCB data showed. Ghaziabad and Noida recorded 'severe' air quality, while in Faridabad and Gurgaon recorded it was in the 'very poor' category. The overall PM2.5 level (fine particulate matter in the air with a diameter of less than 2.5 micrometer) was recorded at 280 and the PM10 level at 465 in Delhi, the CPCB said. The SAFAR has said the air quality would improve slightly "provided that no additional local emissions are added on New Year eve". "Any new trigger in terms of additional local emission, particularly from open fire, pyrotechnic display and fossil fuel burning may make air heavier and thick with low ventilation, and may lead to rapid deterioration in air quality to severe-plus range," the SAFAR said.